Blinds Philippines – Mini blinds, also called horizontal blinds or venetian blinds, are a classic choice with great durability. Mini blinds offer clean-lined design that works with virtually any room style. These blinds are easy to clean, long lasting, and most importantly, inexpensive. For those who need practical window treatments at affordable prices, mini blinds are a perfect solution. 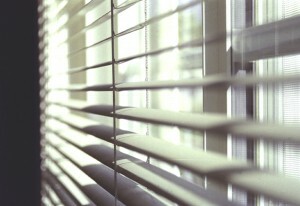 Mini blinds are most commonly operated through the use of a wand, cords or continuous corded loop. The cord or wand are used to tilt the slats all the way open, closed or anywhere in between. Another cord is designated for raising and lowering the entire stack of slats. It is important to check if all the slats are properly aligned before adjusting them to avoid possible damage. Mini blinds provide excellent privacy. You can lower the entire stack of slats to cover the entire window and adjust the slats so they are titled shut. Mini blinds will definitely do a sufficient job of blocking outside light and visibility. For bedrooms where you may want even more light control and privacy, consider route less slats.